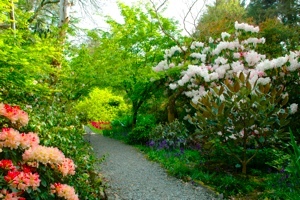 Self Catering Holiday Homes of exceptional quality in Wexford. 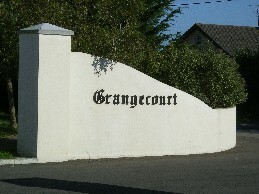 Grange Court 4* Luxury Self Catering Holiday Homes are a home away from home, located beside Grange Beach in Fethard-on-sea on the Hook Peninsula, Wexford. The 21 luxury family friendly holiday homes are laid out in a private cul-de-sac with ample open space and play area. This is a family holiday destination with many interesting heritage sites , tourist attractions and sporting facilities closeby. To book or for our latest special offers call +353872480695. 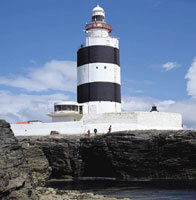 LOTS TO SEE AND DO NEARBY INCLUDING VISITS TO HOOK LIGHTHOUSE AND LOFTUS HALL. FUN FOR ALL THE FAMILY AND A WELL EARNED BREAK FOR MUMS AND DADS WHO CAN TRY OUT THE LOCAL GOLF COURSES AND BOOK RELAXING PAMPERING TREATMENTS IN FETHARD VILLAGE OR TAKE LOVELY COUNTRY WALKS FROM RIGHT OUTSIDE OUR DOORSTEP. BASS FISHING ON BEACH 2 MINUTES WALK FROM OUR HOLIDAY HOMES. SPECIAL RATES ALSO AVAILABLE FOR OVER 55s AND GROUP BOOKINGS. ARE YOU ORGANISING A FAMILY HOLIDAY DESTINATION FOR YOUR EXTENDED CLAN OR FRIENDS - LARGE GROUP BOOKINGS ARE OUR SPECIALITY - CONTACT US FOR ACCOMMODATION RATES AND ALSO ACTIVITY SUGGESTIONS WE WOULD BE DELIGHTED TO ASSIST YOU IN YOUR PLANNING. Time and time again we have been told that it has been like the holidays people used to have as children themselves. One Lady paid us a very high compliment when she told us that it was the first self-catering holiday she had had where she did not have to clean the house when she arrived everything was spotless. We take pride in delivering a 4* star product and ensuring that people feel that they have had a value for money holiday and go away relaxed and well pleased with themselves. 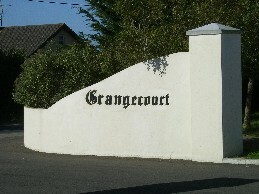 Grangecourt is recognised as one of the best holiday home complexes in Ireland by a number of Irish tourisim organisations. They all offer bookings at Grangecourt year round. Special offers are often available also so do check. Bookings can be made by calling +353 87 2480695.